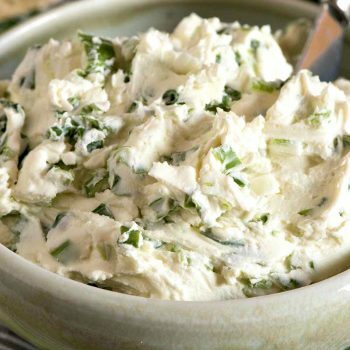 If you are a regular reader here at A Family Feast, then you may have noticed that we’ve been on a bit of a breakfast theme over the last few days – we’ve shared recipes for homemade Cinnamon Raisin English Muffins, Oat Buttermilk Waffles, and now today’s fantastic Scallion Cream Cheese Bagel Spread! 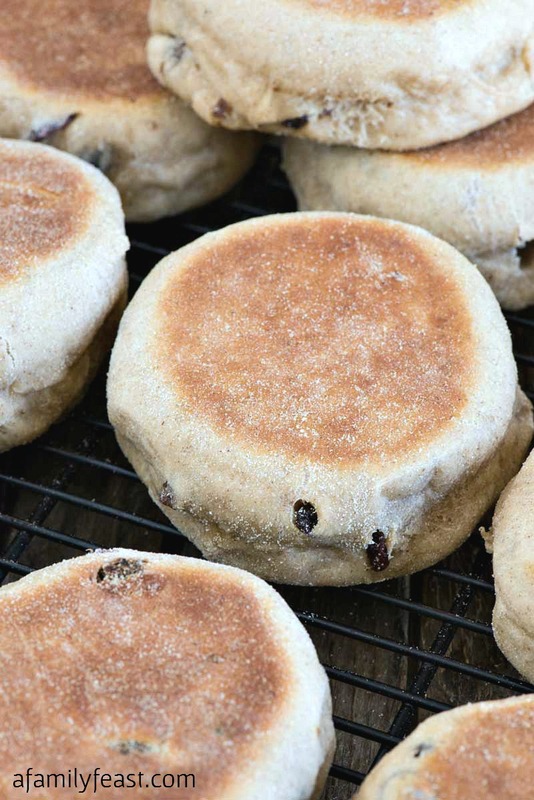 All of these delicious recipes are leading us up to a fantastic breakfast-themed giveaway! Click here for your chance to win a Wolf Gourmet 4-Slice Toaster! Years ago, when my husband Jack worked in food service management, the facility he managed baked hundreds of fresh bagels every morning, and they served several different cream cheese spreads along with the bagels. Two of the most popular cream cheese spreads they served included a sun dried tomato and basil spread (you can see that recipe here) and this Scallion Cream Cheese Bagel Spread. 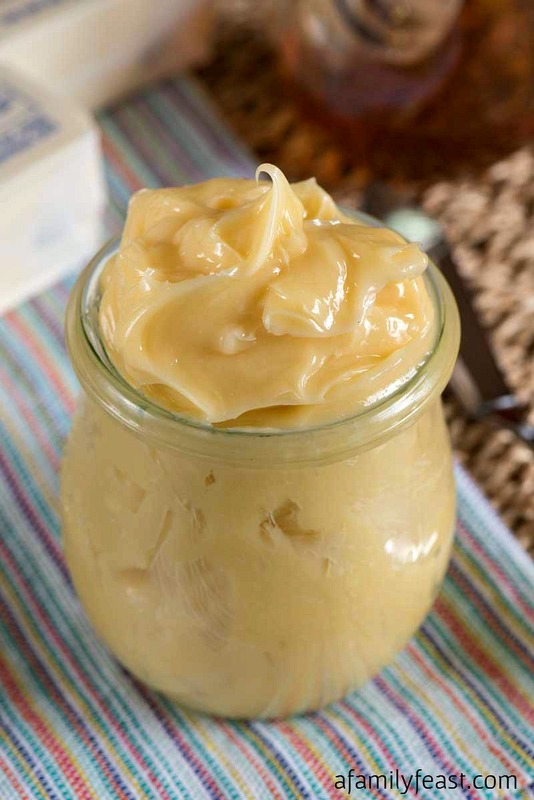 Just two simple ingredients – but this spread is fantastic! A chewy, hearty toasted bagel, slathered with creamy and sweet-tangy cream cheese that has been mixed with scallions and their fresh, onion-y crunch – its a perfect breakfast combination! 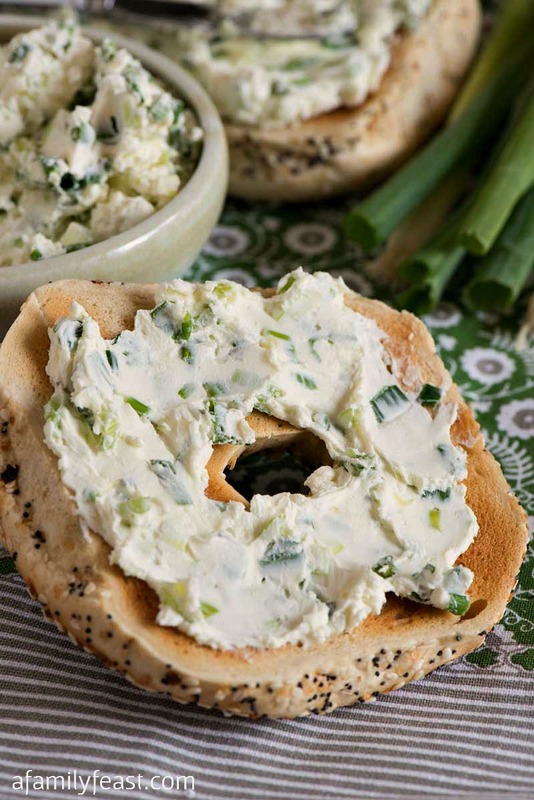 We especially like this Scallion Cream Cheese Bagel Spread with herbed, oat, or multi grain bagels. 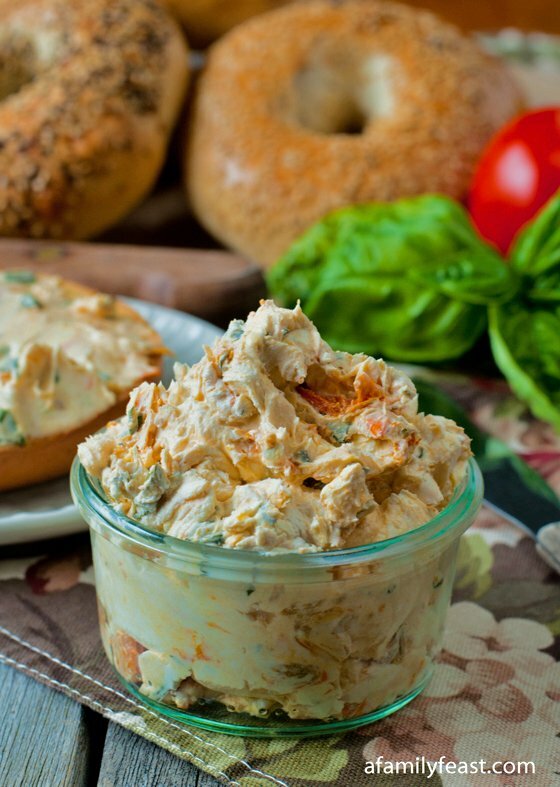 Just two simple ingredients make up this fantastic bagel spread! 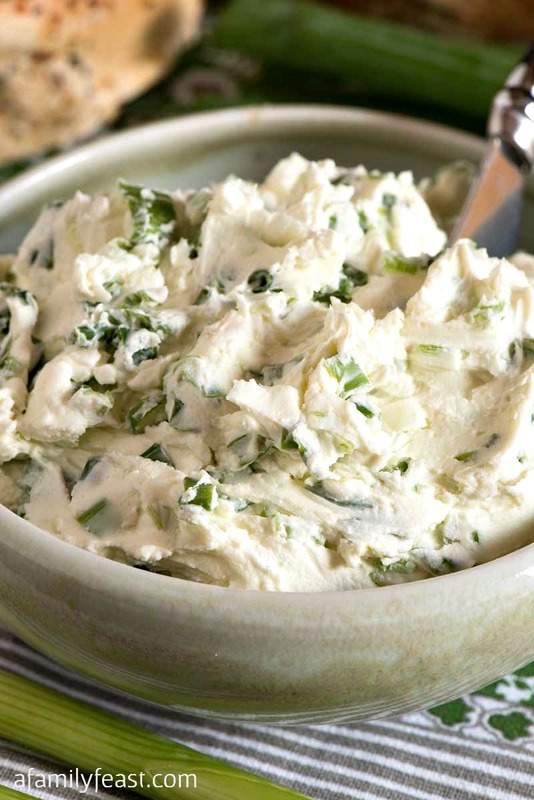 In a bowl, mix the softened cream cheese with the sliced scallions until blended. Refrigerate until ready to serve. Toast cut bagels and spread the cream cheese mixture on top. That breakfast sandwich sounds amazing Leah! Thanks for the suggestion! I love it when the most simple ingredients wind up being the taste that hits the spot. This would be a perfect snack at work right now! And the imitation lobster works just as well!